Aladdin Lamp's new Mantle Save and Heatshield incorporates the benefits of both an insect screen and a smoke bell. 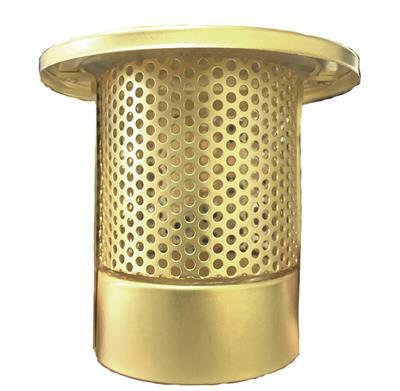 The Brass Colored Heatshield sets on the top of any Aladdin brand glass lamp chimney, as well as any other glass lamp chimney with a 2 1/4" diameter top opening. Designed to keep insects and debris from dropping down the lamp chimney and damaging the mantle. Also acting as a smoke bell, it also disperses the heat stream from the top of the chimney. This allows you a lower clearance from the top of the chimney to the ceiling. Standard recommendations are 36" from the top of the chimney to the ceiling, while smoke bells lower this recommendation to 18". Caution is still advised with any lamp and flammable materials. Most orders ship in 1-2 business days.